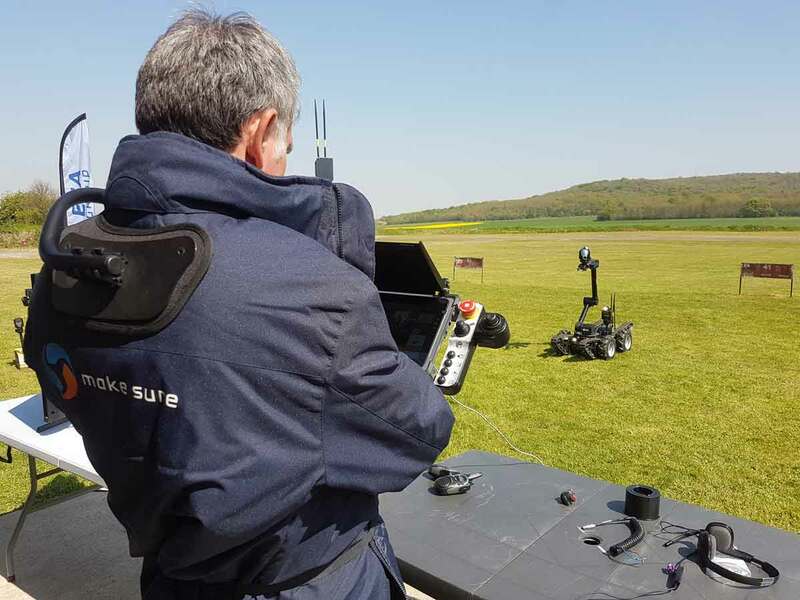 French robotics company ECA Group has demonstrated successful collaboration between an unmanned aerial vehicle (UAV) and an unmanned ground vehicle (UGV) for stand-off Improvised Explosive Device / Explosive Ordnance Disposal mine clearance. The objective is to provide intervention teams with better situational awareness and over watch for executing EOD and IED missions. ECA Group’s mini gasoline UAV, the IT180, which has a communication range of 3 km and endurance of up to two hours, provides visibility when that provided by the (UGV) is limited or when the risk is out of the operator's view. 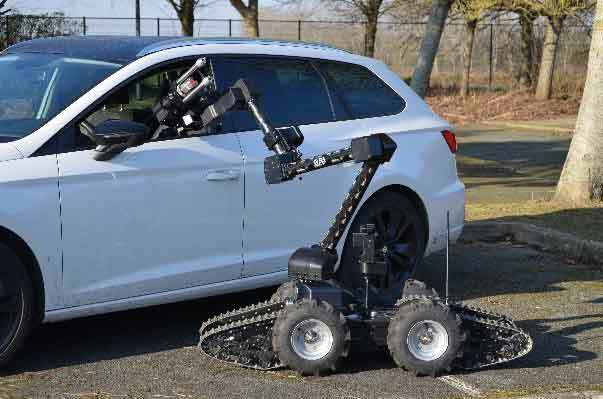 ECA Group’s research programme on future robotic collaborations aims to simplify mission management, with the IT180 UAV proving a direct view of the UGV "as if the operator was close the UGV," to help with complex manipulation for non-direct view intervention. Pairing of the two unmanned systems can also help with navigational accuracy, with ECA Group's IGUANA UGV, assisted by the UAV IT180, for obstacle anticipation and optimal path finding. The IGUANA can easily reach into confined spaces, such as vehicles, to investigate and recover suspicious devices. Equipped with a range of CBRN sensors and able to deploy X-Ray systems, the UGV can make well-informed decisions for neutralising threats using disruptors mounted on the robot. In terms of interaction between unmanned systems, the UAV IT180 provides a radio relay for long-range operations. It is also able to drop a mini-UGV COBRA MK2 I).